Chutneys are my favorite dishes i.e. with any vegetable, they are most relish-able. Nethi beerakaya or egyptian luffa looks exactly like ridge gourd but it is not. We get them very rarely in the vegetable markets in Hyderabad. It tastes like ridge gourd only. We can make curry, dal and chutney with it. The loofahs we get in the market are made with the fibers of this nethibeerakaya/Egyptian Luffa, came to know about it through Wikipedia. 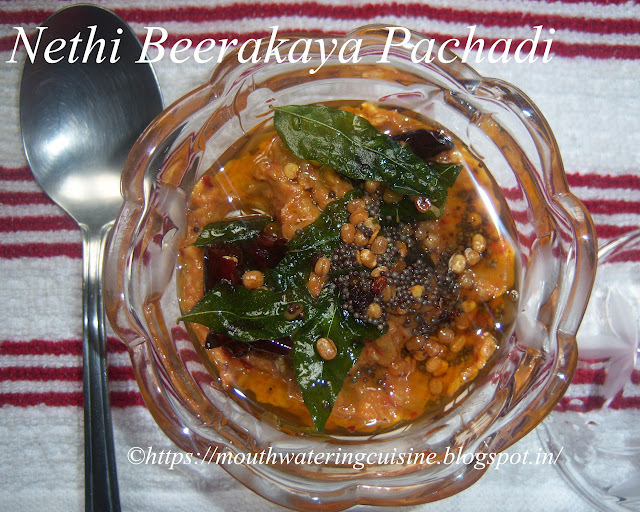 Nethi Beerakaya Chutney -- simple and tasty chutney goes well with hot piping rice. Wash and cut egytian luffa/nethi beerakaya into small cubes. Cut tomatoes also. Heat oil in a kadai, add mustard seeds, fenugreek seeds, black gram, red chillies, green chillies and asafoetida. Once the black gram turns in to light brown color add chopped egyptian luffa/nethi beerakaya and tomatoesto it. Cook them till the vegetable pieces softens. Keep aside and allow this to cool. Combine all of them in the mixer grinder at once and grind it to make chutney. To simplify the task and have little bites of nethi beerakaya pieces, first grind red chillies, green chillies and some portion of mustard seeds, black gram, and fenugreek seeds along with tamarind streak and salt. Then add nethi beerakaya and tomatoes pieces and whip the mixer grinder so that all of the nethi beerakaya won't grind to paste. 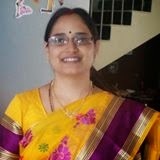 We can make the chutney in traditional way also by pressing it in rock mortar and pestle. I did it like that only. Heat oil in a kadai, add mustard seeds, blackgram, fenugreek seeds, red chillies and curry leaves. Once they splutter add this tempering to the chutney. Serve nethi beerakaya chutney with hot piping rice.